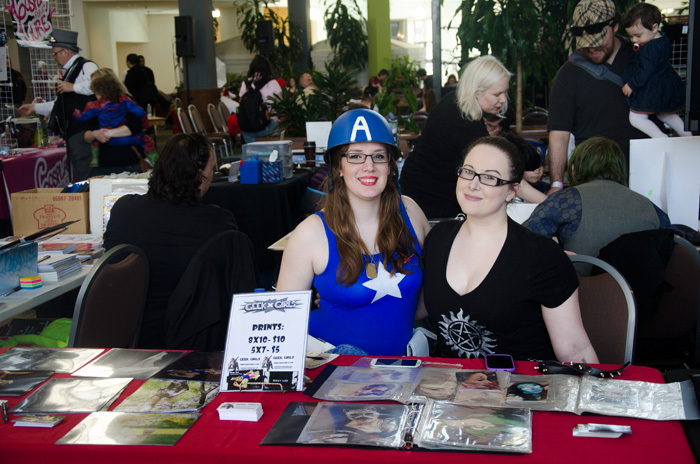 Geek Girl Player Two: "I had a complete blast at GTA Comic Con. There was no shortage of entertainment and amazing shops. Some of the Geek Girls had the pleasure of not only being invited to participate as guests individually but our group was also invited to represent themselves. 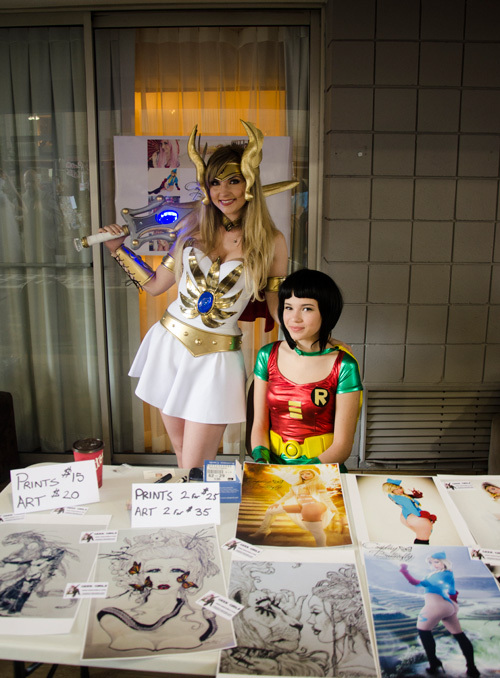 I had the pleasure of represent the group at the Geek Girls table with the lovely Roxy Lee GG and we had a blast. Im looking forward to seeing the convention grow in the future and what their plans are for next year." 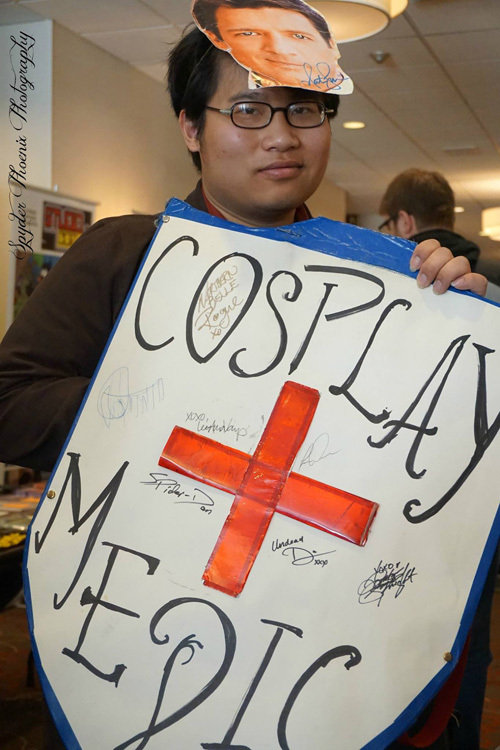 I also took a few photos at the convention, since I�m trying to get back into photography. 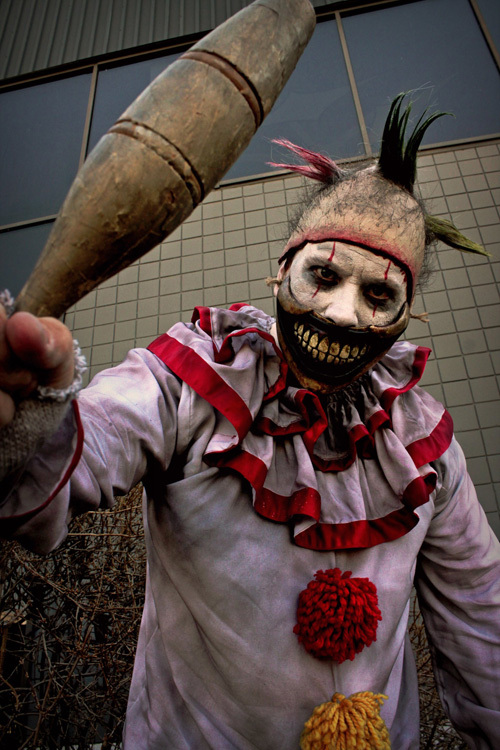 There was an amazing cosplayer at the convention of Twisty the clown, from American Horror Story, and some Dragon Age cosplayers that I got some shots of!" 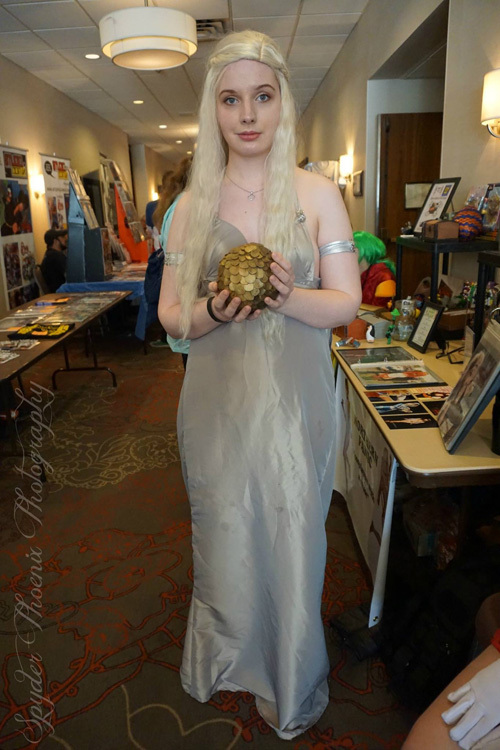 Geek Girl Roxy Lee:�"I had a great time at GTA ComicCon. I saw so many friends and amazing cosplays. The bands were so good and rocking out at the GeekxGirls table with Player Two was fun! Our anti bullying and harassment panel was also a huge success and I am glad to of shared that experience with our GG Evie E. Big thanks to the GTA team for having us and Steph from the @GCE for arranging so many wonderful panels! 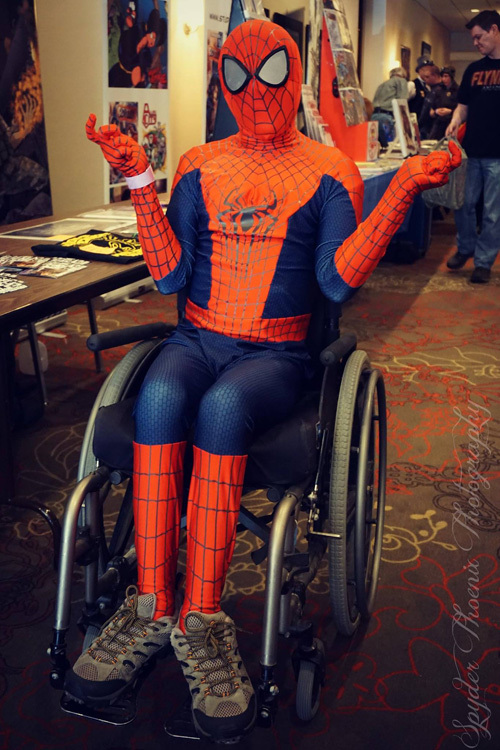 See you at the next event"
Geek Girl Jenn Marvel: "GTA con means a lot to me in a lot of ways, it was my first con as an official Geek Girl last year. 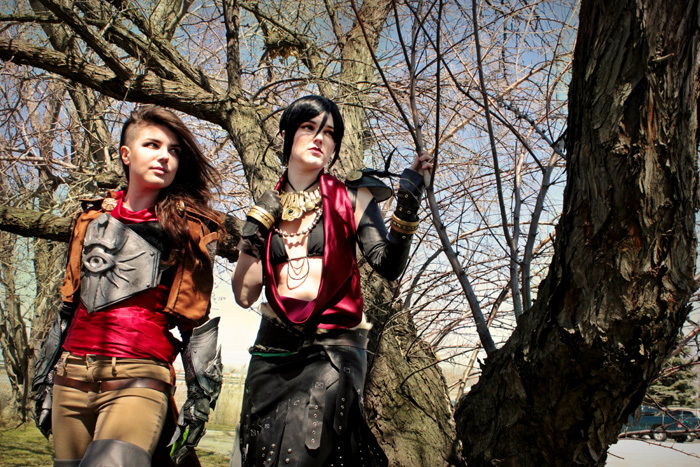 � I had a blast this year being a VFX/Cosplay guest. 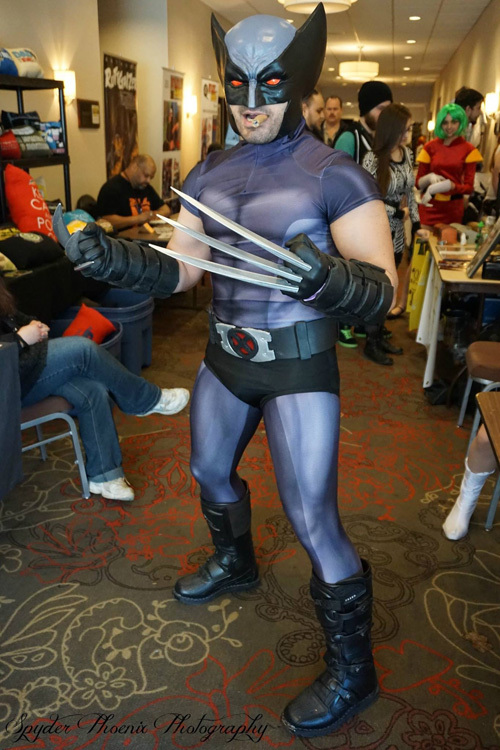 � Its really one of those cons with a strong community and family vibe.� I got to meet a lot of new people, see old friends, watch some wrestling, listen to music and just enjoy the energy of the convention. 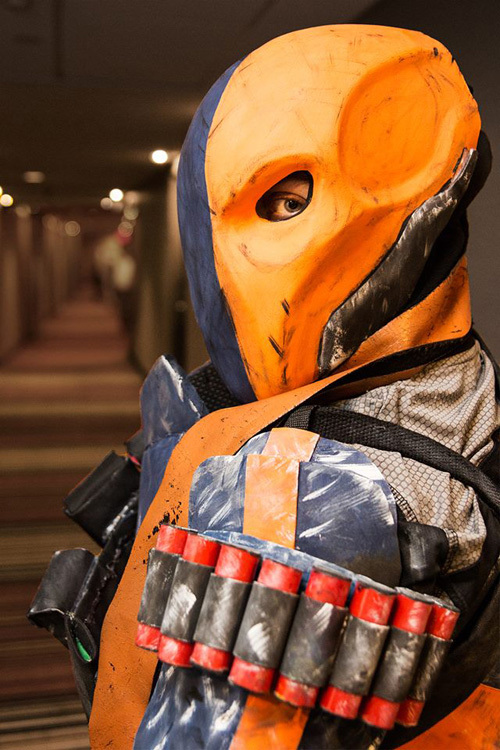 � I wore deathstroke for a few hours half way through the day.� I really hope I get to be apart of it again next year!" Geek Girl Northern Belle Rogue:�"GTA Comicon; she�s built like a steakhouse but handles like a bistro! 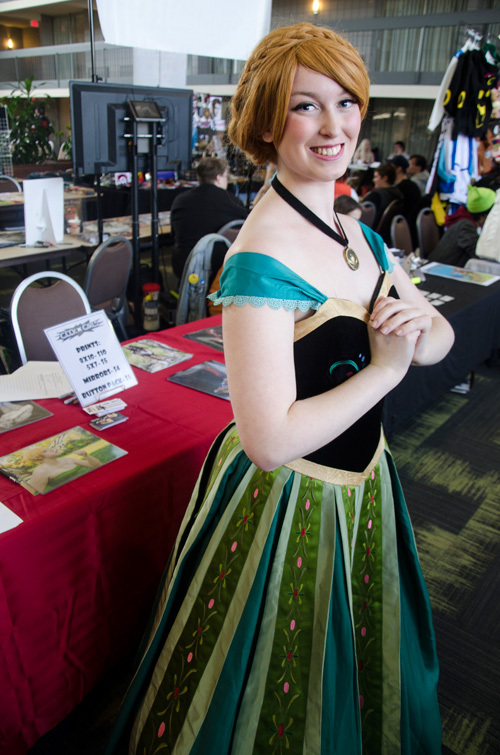 The organizers of GTACC invited Northern Panic to host one of our charity tables and we were honoured to attend. As per usual we hosted a treasure hunt fundraiser for SKETCH. Big thanks to all of the organizers and volunteers for their hard work and to all of the attendees who supported us. 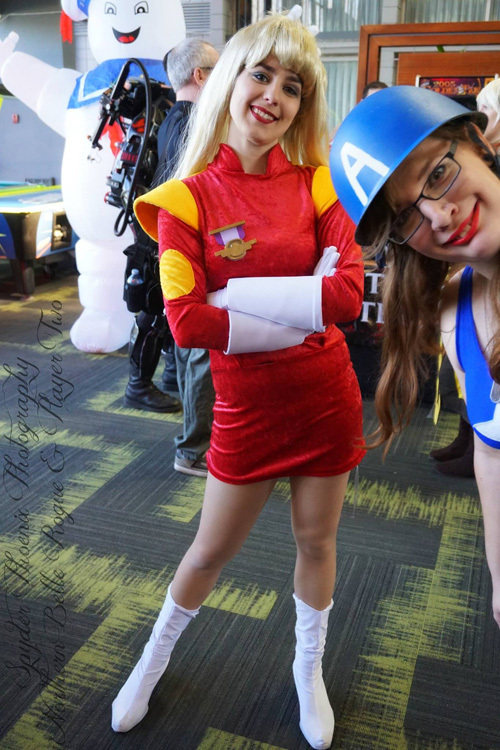 It was a blast to reprise Zapp Brannigan with my cohort Don't Panic Cosplay as Kif. Not only did we have our real velour suits, but I was also able to make him show everyone the medal I won! 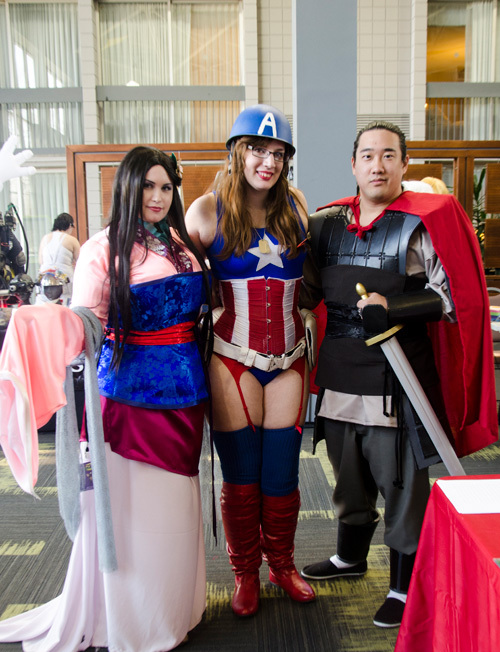 We had so much fun with y�all and can�t wait to do it again next year."